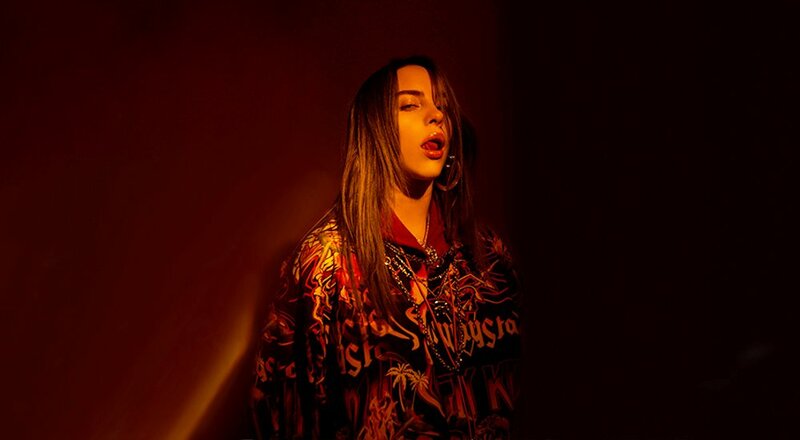 Billie Eilish had notched up 1 billion streams and 15 million Instagram followers even before the March 29 release of her debut album When We All Fall Asleep, Where Do We Go?. Now the record is out, and the major streaming services are fighting to get their exclusives and claim bragging rights. In February, YouTube made a documentary series on Eilish. The first episode was viewed 3.5 million times and the second, 2.1 million times. Apple Music announced that 800,000 subscribers had “pre-added” the album (a new record) – saying that such numbers validated “pre-adds” as a new music industry metric, which indicated the excitement that a release had with fans. The service also suggested that this was an example where, while most streaming services focussed on single-track playlists, “Apple Music still emphasizes albums because we understand their value as a storytelling tool for artists to create context around their music,” Oliver Schusser, head of worldwide for Apple Music, told Music Business Worldwide. He added: “For Billie, in particular, it’s really exciting because she is such a big part of the Apple artist community and someone the whole company has really rallied around. Apple Music’s relationship with Eilish goes back to January 2016 when it signed her to an artist development deal with discovery platform Platoon (which it now owns), showcased her at South By Southwest in March 2017, made her its ‘Up Next’ artist and interviewed her on its Beats 1 radio show. Over at Spotify, where the Los Angeles singer songwriter’s debut single ‘Ocean Eyes; was streamed 200 million times, there has been a multi-level campaign behind the album. A ‘multimedia playlist’ includes audio and visual tracks, and “new product features”. In Los Angeles Spotify set up a pop-up “enhanced album experience” in downtown Los Angeles for fans over the weekend. Fans are greeted outside by a massive statue of the singer, designed by renowned artist Takashi Murakami. Inside, fan artwork hangs on the wall, and exhibit staffers wear custom white Blohsh jumpsuits. “Dude, it’s literally everything I wanted, right here, right now,” she said before the Billie Eilish Experience exhibit opened. Inside, each of the album’s 14 tracks is translated into a multi-sensory moment for fans to experience room by room. “I wanted everybody to see the album through my eyes,” added Eilish who sports gothic rings on each finger. It was inspired, she explained, by her synesthesia: a neurological condition whereby every song she writes has associating colours, textures, scents, shapes, and feelings attached to it. Each door to the room spells out to fans what those elements are in those songs. In a way, the streaming services help answer the question being asked today: how did a Gen Z artist become a star for both teens and adults? For music fans who want their stars to be “real”, it’s her strong and compelling part-enigmatic part-open image, and her honesty in discussing her Tourette’s syndrome, her admission she exasperated collaborators in the studio “because I have that vision and I won’t change it” and her caring for issues as global warming, animal rights and the apocalypse – and the unstated view that the older generations screwed up. More than that is her insistence on being a stand-alone. That Gen Z attitude which strikes a chord with fans is underlined by an unorthodox upbringing by her actor parents who home-schooled their daughter (full name Billie Eilish Pirate Baird O’Connell) and son Finneas who is now her musical collaborator. At 8 she was in the Los Angeles Children’s Chorus and practising contemporary dance. At 14, she recorded the vocals for one of Finneas’ songs, which they uploaded to SoundCloud. One of them, ‘Ocean Eyes’ became a viral hit, and suddenly record companies, managers and streaming services came a-knockin’. Hip-hop producer Timbaland has already predicted that 2019 and 2020 will be hers.